Barton's Bush, and the nearby Domain Bush, are remnants of the lowland mixed podocarp/broadleaf forest which covered the Hutt Valley floor before European settlement. The forest is heavily modified from it's original state. Over 100 totara were removed from Barton's bush in the 1940's before it was acquired as a public reserve in 1950. Only a handful of large (100 to ~200 cm dbh), old-growth podocarps remain visible from the numerous tracks in the 6 ha of Barton's Bush: a short-boled kahikatea, three large matai (to 160 cm dbh) and three emergent totara. All of these trees have short or mishapen trunks, that potentially made them undesirable for logging. Smaller and bushier totara, possibly from natural or artificial regeneration, are prevalent at locations around boundaries of the reserve. The smaller Domain Bush (2.5 ha) contains approximately 6 large (~ 100 cm to ~150 cm dbh) mature kahikatea between 28 and 33 m in height. 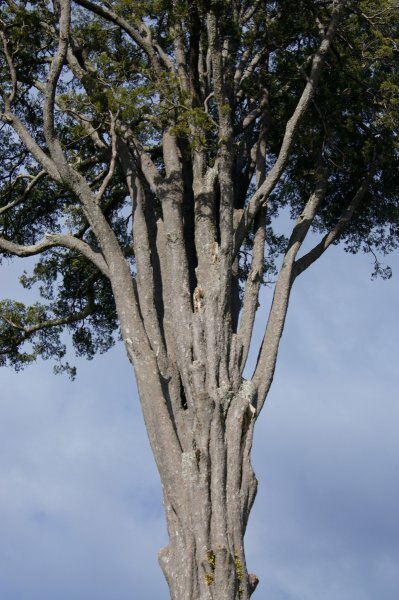 Tawa is the dominant tree in both remnants of forest. The featured tree is located outside the north edge of Domain Bush, made prominent by the surrounding sports fields. It has had obvious pruning of it's lower branches over the years, resulting in a relatively tight, lifted crown. At 174 cm dbh, it is the largest remaining kahikatea in the two forest remnants, but it is probably not the tree noted by Burstall and Sale: A rotting hollow stump in the northeast corner of Domain Bush, broken off at a height of ~ 6 m in the reasonably recent past, was measured at 210 cm dbh. 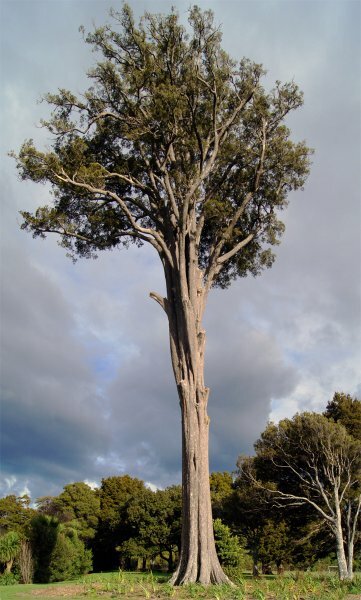 No evidence of a larger tree in the northwest corner of Barton's Bush proper has been noted – the short-boled kahikatea mentioned above being 165 cm dbh and 26.5 m tall with a spread of 16 m. A handful of other mature kahikatea are located in properties surrounding Trentham Memorial Park. New Zealand Botanical Society Newsletter, Number 2, December 1985, pp 23-24. New Zealand Forest Research Service, FRI, Forest Mensuration Report No. 20, 1974, pg 36 (unpublished). S.W. Burstall & E.V. Sale "Great Trees of New Zealand", 1984, pg 259. Appears in reasonable health (Aug. 2011). 09 Aug 2011 Smillie, M.J. 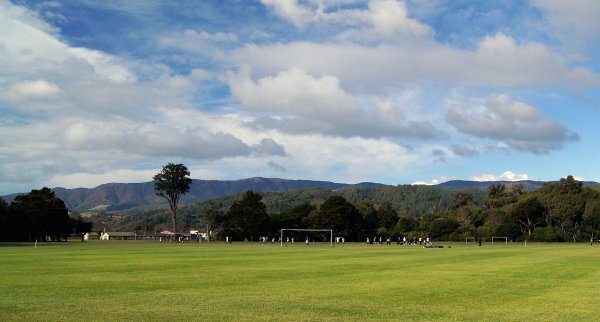 Between the football/cricket fields and the rubgy fields in Trentham Memorial Park. Hard to miss.